Image Credit: Nola Matthews, Nature’s Formations, 2018, oil on canvas, 100 x 76 cm. Collection of the artist. 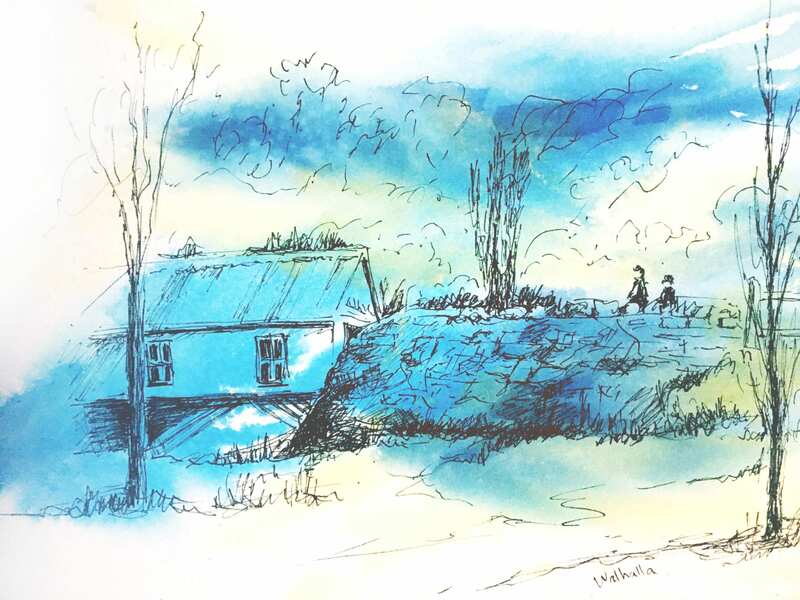 Image credit: Andrea Ramsay, Walhalla, 2018, watercolour and ink, 26 x 36 cm. Collection of the artist. Blue showcases works by members of the Morwell Art Group, Moe Art Society and Traralgon & District Art Society. Since ancient times, the colour blue has been utilized in art in a variety of ways. Lapis lazuli is a blue semi-precious stone that was used in ancient Egypt for jewellery and other decorative arts, and later, in the Renaissance, to make ultramarine – the most expensive of all pigments. In present times the colour blue is typically perceived as calm, tranquil and harmonious – the colour of the sea and the sky. 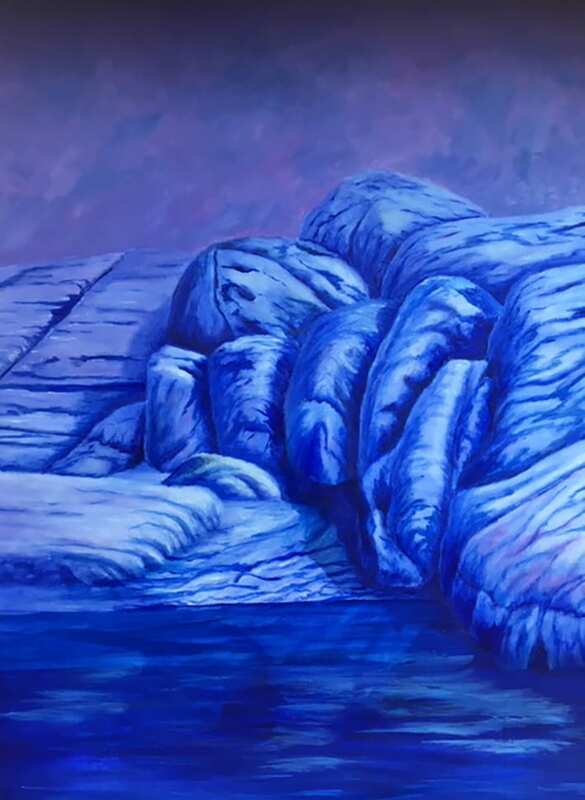 Each artist has used blue as a focal point in their work, applying their own unique interpretation of the colour’s meaning and symbolism. The exhibition presents a diverse range of works, across a variety of mediums.